Liesa Barrington is the Production Planner and Procurement Manager at Excelsior. 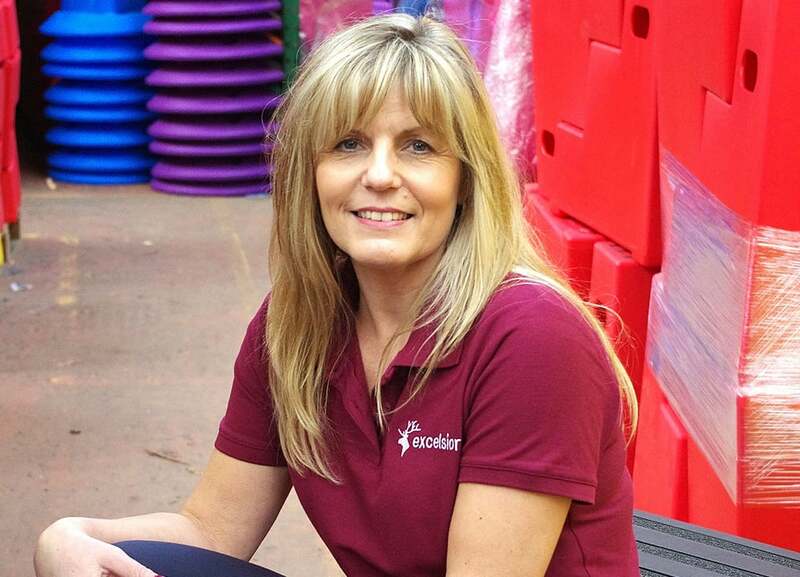 We asked her what it’s like to work for one of the UK’s leading roto-moulding companies. Tell us about your career before coming to work at Excelsior. Prior to joining Excelsior I worked within the financial services sector for 30 years. The various positions I held during my career have enabled me to build up significant knowledge and experience across a wide spectrum of roles, such as business partner management of external contracts; supplier relationship management; projects; inventory control; incident management; customer service; audit and risk assessment, and team management. Purely circumstance. I have always had an interest in manufacturing from my previous employment (print, plastics, envelopes, consumables). During my first week of redundancy, I came across the job advertisement that Excelsior had placed for a Production Planner and Procurement Manager and was keen to learn more about the company. Initially I was informed that the interviews had come to a close; however I asked the recruitment company if they would at least share my CV with the company and express my keen interest in applying for the position. Currently I undertake the day-to-day production planning which involves prioritizing customer orders, ad hoc requests, and managing stock holding for some of our regular call off items which involves scheduling jobs on the rotational moulding machines. What is the most interesting and challenging aspects of your role and why? There’s a lot to learn, but at the same time it’s extremely interesting to understand the different manufacturing processes used. Training is very hands-on in a fast paced environment, with tight deadlines and last minute changes to fulfill customer needs. What do you like about working at Excelsior? The staff are lovely – everyone is so friendly. You do feel you are part of the family and everyone’s contribution is valued. How is Excelsior different to other places you’ve worked? Being a family business, the atmosphere – although very busy – is more of a relaxed approach. The company is open to ideas, receptive to change and willing to progress and develop all the time. There was no hesitation in allowing me to progress an idea I had in respect of a system enhancement which would improve visibility to distinguish between stock replenishment planning to bespoke customer order requests. Why do you think customers choose Excelsior? From what I have seen, I can quite honestly say that Excelsior is extremely conscientious of the products they produce. Quality control is paramount in ensuring customers are not disappointed.